You are here: Home / Announcements / Win A FREE Tennis Racquet Tennis String And MORE! 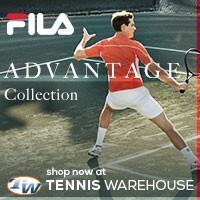 Win A FREE Tennis Racquet Tennis String And MORE! I bet you do! As you have probably already seen (you can check out our past winner here), I like to give away free stuff during the Major tennis tournaments – Australian Open, French Open, Wimbledon, and the US Open. Now that Wimbledon is creeping up on us, it’s that time again! 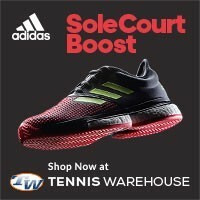 Here’s your opportunity to win a free String Thing, a free set of Babolat Pro Hurricane 16 tennis string, A FREE TENNIS RACQUET, and a Tennisthis.com sticker! Again, the String Thing has been autographed by Mark Philippoussis, which is super sweet in it’s own right. Instead of having you enter by leaving a comment below, I’m going to put a little spin on things and have you answer some tennis trivia, deal? What type of grass is grown on the tennis courts at Wimbledon? Who was in the longest women’s tennis match at Wimbledon and how long was it? Who was the first male tennis player to win the Wimbledon men’s singles title as a wildcard player? That’s is, answer those three questions in the comment section below, which free tennis racquet (from the choices above), and the grip size. Only those with correct answers will be entered in the drawing. This contest ends after the men’s championship finals on July 3rd, 2011. 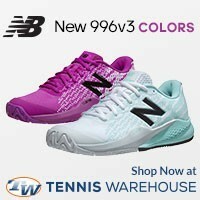 And please subscribe to my newsletter to keep up to date with other tennis contests and giveaways! Good luck to you all and stay tuned for Wimbledon updates! You can use those fancy little share buttons below to Tweet, post it to Facebook, or whatever it is that you do to spread the word! 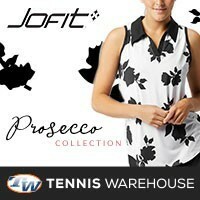 *Tennis racquet will be unstrung and with no cover or bag. Prince EX03 Ignite 95 with a 4 and a half grip please. Who was in the longest women’s tennis match at Wimbledon and how long was it? Chanda Rubin vs. Patricia Hy-Boulais @ 3 hrs & 45 minutes. Who was in the longest women’s tennis match at Wimbledon and how long was it? Vicki Nelson vs. Jean Hepner at 6 hrs & 31 minutes. 2. Chanda Rubin def Patricia Hy-Boulais. Match lasted 3:45 with 58 games played. chanda rubin and patricia hy-boulais. 3:45 game length. 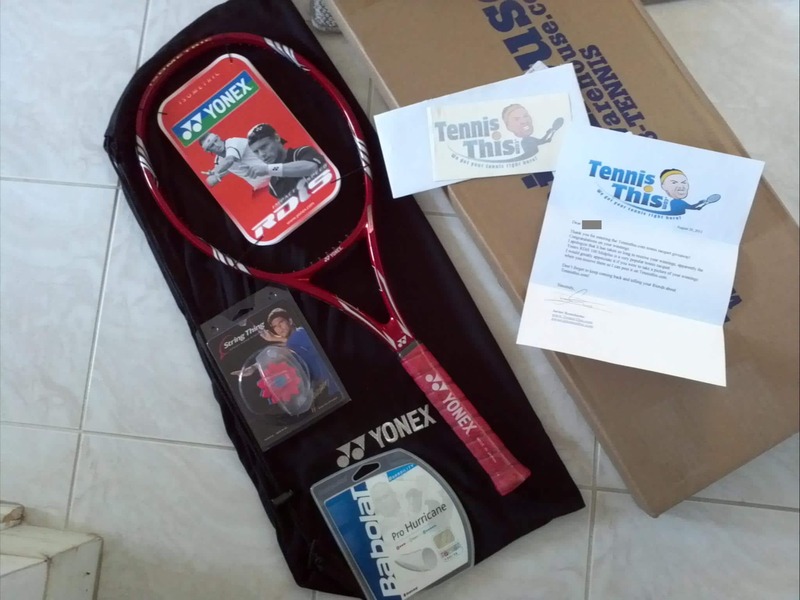 Yonex RDiS 100 Midplus, 3/8, thanks for the contest TennisThis. 1. Wimbledon grows 100% perennial rye grass. 2. Chanda Rubin and Patricia Hy-Boulais match lasted the longest at 3 hours and 45 minutes. 3. Goran Ivanišević FTUW (uber). I wonder how many wildcards have gotten to a GS final. 1. Perennial 100% rye grass. 2. 1995 Chanda Rubin vs. Patricia Hy-Boulais for 3 hours 45 minutes. I’d like the Prince EXO3 Ignite 95. Thanks for having this contest! for the racquet Babolat Pure Storm GT 4 1/8 or even 4/L0. – The type of grass used at Wimbledon is 100% pure perenial ryegrass. – The longuest woman tennis match was between Chanda Rubin and Patricia Hy-Boulais, it lasted 3 hours, 45 minutes. – The first Wimbledon single title winner to win as a wildcard player was Goran Ivanišević. 100% Perennial Ryegrass is grown on Wimbledon courts. Rubin(USA)defeated P Hy-Boulais (CAN) 7-6(7-4) 6-7(5-7) 17-15 with 58 games in 3 hours 45minutes! Chanda Rubin defeated Patricia Hy-Boulais 7–6(4), 6–7(5), 17–15 in the second round at Wimbledon. This match lasted 58 games in 3 hours 45 minutes. longest match- Rubin(USA)defeated P Hy-Boulais (CAN) 7-6(7-4) 6-7(5-7) 17-15 with 58 games in 3 hours 45minutes! Awesome website- Thanks!-I was just in London and love Wimbledon. I’m watching as much as I can! The longest match was when Chanda Rubin(USA) beat Patricia Hy-Bulais(CAN) 7-6 (7-4) 6-7 (5-7) 17-15 in a match lasting 58 games and 3 hours 45 minutes in 1995. The first male wildcard winner was Goran Ivanišević. 1. 100% Perennial Ryegrass is grown on Wimbledon courts. 2. The longest Women’s match in Wimbledon was 3 hours and 45 minutes at 58 games and the two players were Chanda Rubin and Patricia Hy-Boulais. 3. The first male wildcard winner of Wimbledon was Goran Ivanišević. The type of grass grown in Wimbledon is 100% perennial rye grass. 1995 for 3 hours and 45 minutes. wildcard player was Goran Ivanisevic. Racquet: Babolat Pure Storm GT, 4-1/4 inch. STOKED FOR WIMBLEDOWN. RAFA ALL THE WAY! 1) Wimbledon courts use 100% rye grass since September 2000. 2) The longest women’s singles match at Wimbledon involved Chanda Rubin defeating Patricia Hy-Boulais in 3 hours 45 minutes. 3) In 2001 Goran Ivanisevic defeated Patrick Rafter, becoming the first wildcard to win Wimbledon. Babolat Pure Storm GT, 1/4. BTW, I noticed that all four racquets have open patterns. That’s because the string thing is open patterned 😉 besides who doesn’t like to hit heavy spin? I’d like the Babolat Pure Storm GT Racquet in 4 1/4. Thanks for having this contest! Yonex RDiS 100 Midplus 3/8!!!! Babolat Pure Storm GT Racquet 1/2. Thank you! Yogahz, you forgot to include which tennis racquet you’d be interested in. I love Wimbledon. I cannot wait for it to start. My favorite is Nadal. Hey NadalFan, thanks for your entry, but you forgot to answer the trivia questions!!!! It’s still not too late.